Well, dear readers, much has transpired since I wrote my last post in 2015. In 2016 I moved my family out to Fair Oaks, leaving behind our beloved Tahoe Park and being grid-adjacent (or at least near-grid-adjacent) and adopting the life of suburbanites. (This was the most important thing that happened in 2016.) While we definitely miss Tahoe Park specifically and the urban core in general, I have found Fair Oaks to be full of offbeat charm. It’s not a complete list, mainly because I don’t get out much, but I’d like to highlight a few of my favorite Fair Oaks features. As I do with every other list, I’ll start with burgers. The venerable East Bay meat concern opened this location (technically in Citrus Heights) in 2011. It’s an intense, messy old-school burger, and the menu includes pies and breakfast. Burgers and pie. 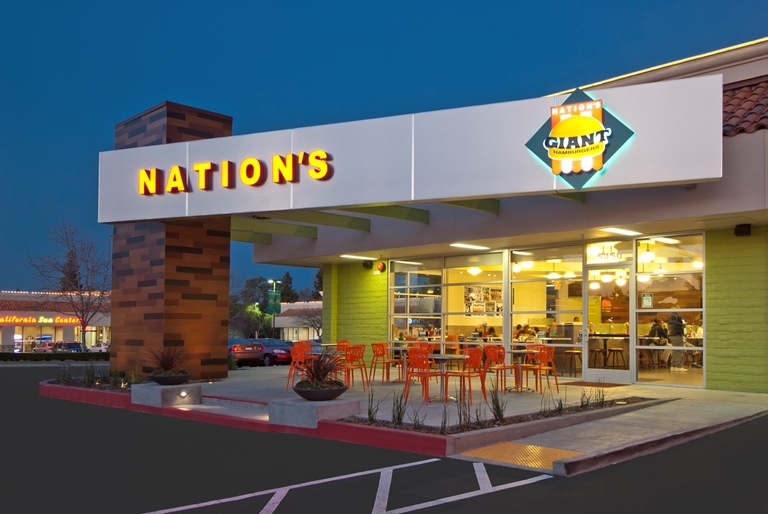 Within a few miles you’ve got Five Guys, In-n-Out and Habit Burger, so your big upscale burger chains are all represented but this one is definitely worth a trip. Did I mention burgers and pie? Note to any Citrus Heights residents: Reader Steve Hall (Steve Hall!) has pointed out that Fair Oaks should not be able to claim Nation’s. I regret the error. It’s not as large as some other “old-town shopping areas” like your Grass Valley or your Auburn, but with service businesses like Sherwood Florist, Fair Oaks Deli, and Fair Oaks Brew Pub (which, with its home brews, good-looking menu, and beer tent, probably deserves its own entry) alongside several well-stocked antique/junk stores, it’s a decent afternoon hang. At the center are two parks: Plaza Park and Village Park, and sandwiched in between is an outdoor theater where Fair Oaks Theater Festival holds its performances. By far the strangest feature of the Village is the dozens of roosters roaming the streets. If I’m being honest, it’s more than a little creepy to come upon one of these chaps unexpectedly; I swear their crowing has taken on the timbre of human speech due to their living circumstances. I’m a little unclear, though, on how this population is stable. I mean, I know how new chickens are made, but I never see the baby chickies hanging out around Stockman’s Club. Are the people who keep the hens are their houses raising the chicks to school age and then dropping them off in FOV? When you do visit Fair Oaks Village, this is a great place to reward yourself with some carbs for walking all the way down to the American River, or going along with your partner to look at antiques. Authentic pastries, cookies and the like, and they also serve sandwiches although I can’t vouch for these. Great place for a special birthday cake as well. 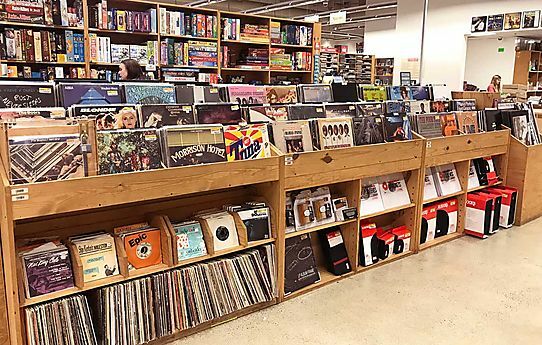 The only area location of this Texas-based used bookstore chain more than makes up for the lack of smaller, cooler bookstores like Beers and Time Tested (and mostly makes up for the tragic loss of Almost Perfect Bookstore out in Roseville). It’s like a Barnes & Noble for used books and carries board games and DVDs as well. During the summer I wish my family could set up tents in this store to save time. There is also Bookworm, a great spot on Madison that does give you that “piles of dusty books on the floor” vibe if you are missing Almost Perfect, as I am almost every single day. With its sweeping grassy knoll, this place can give you your East Portal Park fix (no bocce shell, though). Located off Sunset among some great Fair Oaks homes, it’s a small neighborhood park great for picnicking and frolicking and other verbs where you add a k before ing. There is a little creek running through it which is always a kid-pleaser and a small hill separating the park from the neighborhood school behind it. I attended high school in FO in the eighties and have many fond memories. I had to reset to consider Miller Park as a family friendly destination, the top of that hill at Miller Park as a place for us kids to hang out and drink Mickey’s. Going to have to go back with the kids and check it out. Welcome back cogmeyer! I can definitely picture those types of shenanigans happening on that hill.